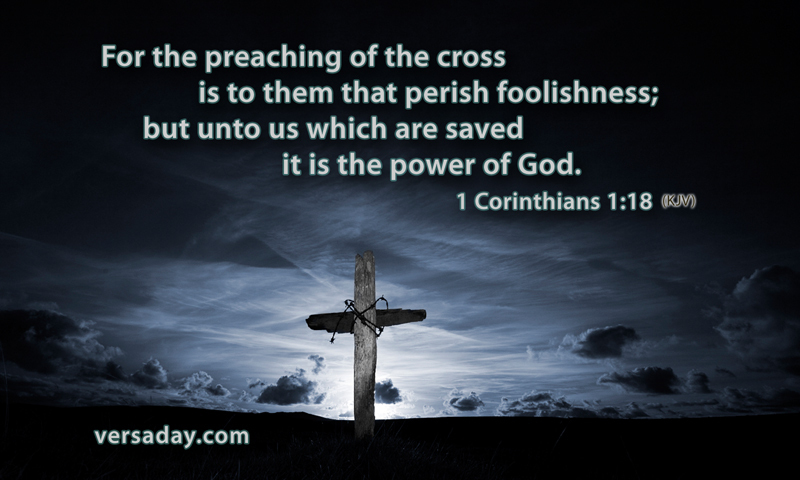 The preaching of the cross is the central message of the Bible. There are those that preach a “social” gospel; equality, liberalism, etc. Then there are those that preach a prosperity gospel; you are here to be wealthy, etc. Paul barely touched on those themes. Rather, he said, “I determined not to know anything among you, save Jesus Christ, and him crucified.” 1 Cor. 2:2. These other gospels may make someone feel good, build a big church etc., but the only thing that can break the power of sin in a life, and bring someone to yield to God and accept Christ is the old-fashioned Gospel that Paul and the Apostles preached, Christ the power of God, and the wisdom of God, 1 Cor. 1:24. Jesus said, “And I, if I be lifted up from the earth, will draw all men unto me.” John 12:32. “This he said, signifying what death he should die.” John 12:33. Preacher, teacher, Christian worker, if you want to do people good, lift up Jesus and display Him crucified and suffering for the sins of the world. That is the only thing that can crush sin, melt the heart, and lead people to surrender to Christ. Amen.